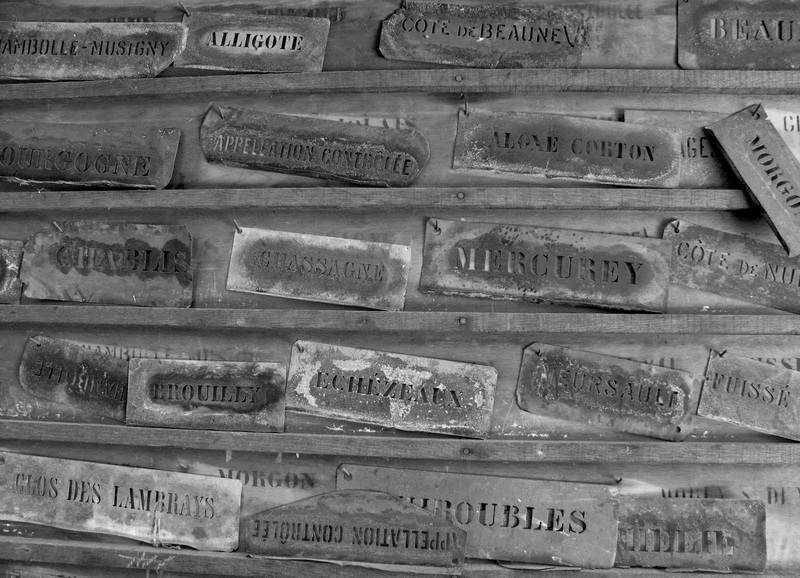 Not to be confused with Dufouleur Père et Fils whose cellars are also found on the main route out towards Dijon, Dufouleur Frères is an artisan family domaine and winery who operate from their Château in Nuits-Saint-Georges. It’s not that the two cellars aren’t historically connected in some way – both claim proof of ancestry dating back to 1596 – spanning some 12 generations. 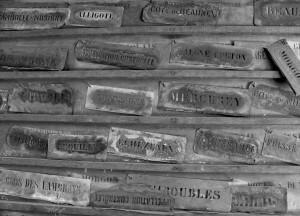 For over 250 years (and before the family went their separate ways) the Dufouleur’s existed as a family of vignerons, but after the creation of Maison Dufouleur in 1848, the name became also synonymous as a négociant house. For the next 150 years little changed, but the arrival of the new generation in 2006 saw the introduction of a ten year plan, devised to completely change both the focus and the image of the company. Both born in 1978, cousins Francois-Xavier (FX to all who have met him) and Marc Dufouleur are gradually wrestling control from their elders, having finally convinced them that the family should once more return to farming their own vineyards. The older generation – the fathers of both FX and Marc, plus another uncle – had continued to build their business on its négociant activities, not only for the wines of Burgundy, but developing interests throughout other areas of France, including the bottling and distribution of Vin de Table. The sheer size of the operation meant there was little time or interest in managing the family vineyards, electing instead to rent them out to a series of growers under fermage or métayage contracts. From the resulting share-cropping, the wines they received in return were distributed through a network of (mostly) Parisian agents. Since the 2008 vintage, however, Marc and FX have gradually started to regain control of their own parcels, having to wait for existing contracts to end or be annulled. It’s a slow and complex procedure, but the emphasis for the future will be on growing and making small-scale domaine-owned wines which can be off-set with the economies of scale from grapes brought-in from the more generic appellations. 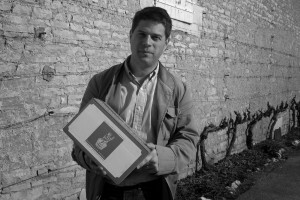 It was only from the 2012 vintage that Marc (who takes the role of the vigneron in this partnership), managed to take complete control of the vinification process. Tasting through some examples from the 2009 and 2011 vintages, one can see the influence of Marc’s predecessor – his uncle – who, it would be fair to say, had something of a penchant for heavily-toasted oak. The 2012s, however, are full of life and freshness, displaying a clear identity which runs through their own domaine wines. They are now close to achieving their ten-year objective and have the opportunity to build on the work done thus far and to allow them greater consistency of both supply and the house style going forward. The winemaking itself happens on the ground floor of the château, with two halls dedicated to the cuvaison of the wines, whilst élevage and storage takes place in vaulted cellars at a separate facility at the rear of the town. The Premier and Grand Cru wines are invariably committed to ageing in new oak barrels, whilst the village wines only see around one-third new wood. The late bottling, along with the reflective nature of both Marc and FX meant that there was no intention to rush their 2012s to market and they were never going to conform to the timing of the usual Burgundy circus that takes place each January. With anticipated shortages of the 2013 vintage, this should be seen as a perfect opportunity to discover what is effectively a new address in the Côte de Nuits and take a position now and for the future. It will also allow merchants to augment existing purchases of what has thankfully proven to be something of a sought-after vintage. Unless stated otherwise, the brief notes on the wines date from tasting in barrel in early 2014. The two generic Bourgogne wines are under the name of Le Fouleur, in reference to the occupation of their grape-crushing forebears. This Chardonnay comes from a single grower in the Mâcon-Loché. Although purchased as wine, the cousins follow the vinification and ageing carefully in order to dictate what they determine as their house style. The only wine in the offer that is not from the 2012 vintage, the growing conditions in 2013 were, as we know, somewhat difficult. In this vintage, the malolactic fermentation was partly blocked, in order to retain some freshness. It’s a good effort, considering, although prices, as everywhere in the Mâconnais, have escalated. The wine remains in tank and is due to be bottled in October. Sourced from five separate origins and includes one parcel of family owned vines which falls just outside the appellation of Nuits-Saint-Georges, near the Hautes-Côtes de Nuits. Another is from Comblanchien, with the balance made up of Maconnais and Côte Chalonnais fruit. Whilst 80% of the wine is raised in tank, the two Côte d’Or components are aged for six months in third-fill barrels. Tasted in bottle in April, this is very pretty and shows a pure varietal expression. This 1.7 hectare parcel is held under a métayage agreement which sees the Dufouleur’s receiving one-third of the production. It is hoped that by 2015, the vines will once again be under the complete control of the family. The resulting wine is somewhat atypical to the rest of the 2012s; bigger and broader; it was raised in 60% new oak. Located on rocky soils on the higher slopes. Tasted in bottle in July 2014. The nose is still quite muted post-mis, with the palate much more expressive. Freshness, purity and a linearity to the acidity are the hallmarks here. On the cusp of 400 metres altitude, this is the highest and most northerly climat in the commune, with the cooler location ensuring this is one of the latest ripening sites in the region. This is the first single vineyard release. Historically it was incorporated into a village wine. A little muted on the nose, but dense and powerful on the palate. More black fruits here and a distinct masculine profile. The oak is noticeable, but well integrated. Taut and mineral, the wine feels like it comes from a cooler location. Total production is 1,300 bottles. Located mid-slope and close to the Château. Finer and more elegant than ‘Les Evocelles’. Excellent weight and focus and with an unusual saline edge. Excellent weight and focus. The wine shows great promise. Located at the southern-end of Vosne-Romanée on thin, but well-drained clay and limestone scree. This was closed and tight when tasted in January. A little awkward and with some firm tannins, but hopefully a little time in bottle will resolve this. From two tiny holdings in the lieux-dits of Les Argillières (which borders Les Musigny) and les Herbues. This is classic Chambolle. Feminine, elegant and full of charm. Great focus and very good length with the oak already very well integrated. The 2012 vintage carries a special label that celebrates the 100th anniversary of the family purchase of their Château in Nuits-Saint-Georges. The wine itself comes from four separate parcels, two of which are from vines that are between 50 and 60 years old. Good weight and concentration, showing flesh and balance. Total production is 3,000 bottles. Not from the domaine, but from wine bought from a local grower. The wine, however, is aged in casks supplied by Dufouleur and transported to the cellar once the malolactic fermentation has been completed. There is an understandable departure to the style of the 2012 domaine wines, with this showing a greater sense of density and richness. The hand of the winemaker is a little more in evidence. In a normal year, this 0.16 hectare parcel usually yields two barrels, but in 2012 there was only one. The soils here are a deep brown limestone – a continuation of the marble quarries of Comblanchien to the south. This shows a return to the house style, with greater elegance and freshness along with some power. Very good structure and length. From 22 ares located in Grand Maupertui, a lieu-dit on the upper-slope of the Clos-Vougeot. The two cousins regained control of the parcel with the 2008 vintage. Solid, spicy and mineral nose, but still pretty tight. The palate is more expressive with structure, but retaining a delicacy and purity of fruit. There are definable mineral elements here with an elegant and perfumed finish. The wine has all but consumed the new oak. The family own just 11 ares, yielding enough wine to fill a single bespoke barrel, coopered by Seguin-Moreau. Good primary Pinot Noir fruit on the nose with a sense of minerality. The entry is much denser and shows a little of the new oak. It builds to a serious, concentrated, mineral and powerful finish.